Two men who fled police after a town-centre stabbing and crashed their vehicle in Castleford are still being questioned by police. 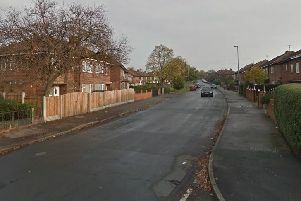 An 18 and a 23-year-old were arrested after the crash in the Ashton Road area of Glass Houghton in the early hours of Sunday morning when they hit another vehicle. The pair had failed to stop after being flagged down by officers after a violent incident in Selby, North Yorkshire, in which a man was stabbed outside a bar. They are from the West Midlands area and are still in custody. A third man, a 26-year-old, who is from North Yorkshire as been arrested on suspicion of attempted murder and possession of a Class A drug. He has been released under investigation. The stab victim, aged 21, and another man aged 20 were taken to Leeds General Infirmary, the latter having already been released. The other man remains in hospital and is receiving treatment for his injuries which are not thought to be life threatening.